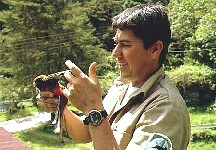 Talk with a ranger on line. As sea levels rise, coastal marshes will disappear under water and many species that depend on them will lose large parts of their living space. Coral reefs die when exposed to higher temperatures, and if the temperature of the oceans rises permanently, many coral reefs will disappear. In some places, this has already started. However, less than half of the protected areas in those countries have any field staff at all. Without rangers, these areas become invaded, forests are felled and nature becomes transformed into agricultural fields. It is probably safe to assume that half of the protected areas in developing countries will be converted into agricultural land over the next 20 years or so if they will be left without rangers. This would reduce the world's species to no more than 50%. That would be the situation without the effects of climate change. But it is probably safe to assume that another 10-20% of the world's species will disappear due to climate change. IF both climate change and protected areas transformations take place without measures, we are probably facing a species disappearance of 60-70% during the 21st century, all due to human actions. This would be the most massive specicide in the history of our planet. With effective protection, we may be looking at "only" 40 - 50 % species loss. According to the data of the United Nations Protected Areas database, there are almost one billion (1,000,000,000) ha of protected areas in developing and transition countries; about as much as Brazil and Peru together. If without sufficient rangers, half of those areas would disappear, the forests would disappear in half a billion (500,000,000) ha. That is more than 100 times of what could be planted as forest plantations over the same period of time, a measure that is promoted under the Kyoto protocol against climate change. Planting new forest easily costs $1,000 - $5,000 per ha and like nature reserves, planted forests need to be protected by rangers, while additionally they need to be managed at least during the first 10 years. Compared to protected areas, forest plantations are small and therefore their cost per ha can be as much as 100 times more expensive than those of natural protected areas. So protecting nature reserves may be several hundred times cheaper than planting new forests, while it is far more effective in preventing CO2 production than forest plantations are in reducing CO2 from the air. Protecting nature reserves helps reduce the onslaught of life on earth, whereas forest plantations contribute very little to species conservation. If you feel you want to do something that REALLY helps against climate change, you can be sure that adopting a ranger is one of the most effective ways. By adopting a park ranger, you help prevent hundreds of millions of hectares of forest turn into Carbon dioxide (CO2) over the next twenty years, while you help protect the millions of species that would disappear with the forests. The world needs to re-focus its conservation aid programmes and refocus its strategy on how to protect nature effectively and reduce the combined effects of the climate change and the conversion of natural lands. We cannot stop climate change, but we can stop the destruction of natural lands in protected areas. Actually, it is quite easy, affordable and socially beneficial. 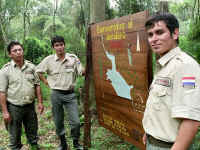 WICE has calculated that worldwide about 140,000 park rangers are needed for the protected areas in developing and transition countries. There are no data on how many rangers are employed at the moment, but probably no more than one quarter of the real need. This means that there is a worldwide ranger deficit of 105,000 rangers in the developing and transition countries. 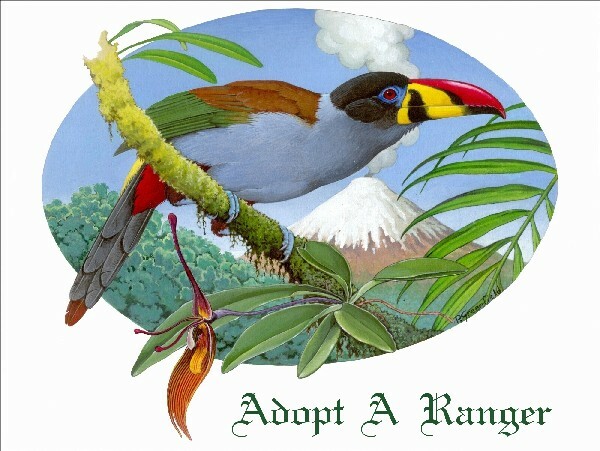 Adopt A Ranger has been created to raise funds for the most imminent danger for nature on earth: national parks and nature reserves without park rangers. 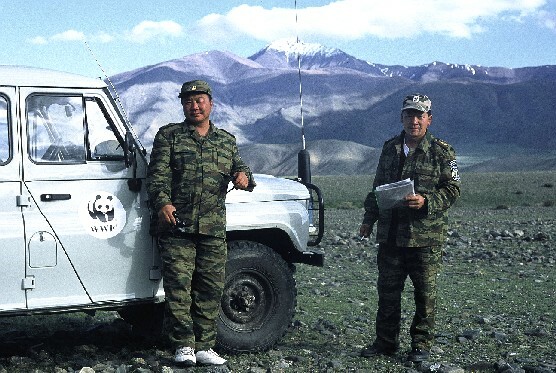 Read here why financing rangers is the single most cost effective way to protect nature. We will also work with international donor organizations to make their programmes more effective for conservation and advise international organizations like the International Monitory Fund on how they too can and must contribute to the conservation of life on earth. * Specicide is the deliberate eradication of a species. Knowingly allowing this to happen without making a consorted effort to stop this makes it a mass specicide. ** There is a growing concern that the emission of Carbon Dioxide (CO2) and other so-called greenhouse gasses are the main cause of climate change. While the number of governments and followers of this concern is growing, a considerable number of citizens have raised well documented doubts about the validity of such effect. Adopt A Ranger respects the opinions of both sides and wants to work with everybody, irrespective of his or her opinion on the effects of CO2 on the climate. Click below to read how Adopt A Ranger hopes to unite the concerns of both supporters and opponents of this issue. Read what famous conservationists have to say about park rangers DONATE ** Climate change: Fact of fiction. 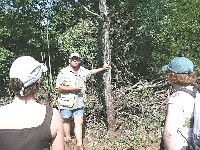 Read what Adopt A Ranger has to say about it.